'The Window' is a space reserved for artists local to the Art Gallery of Ballarat. 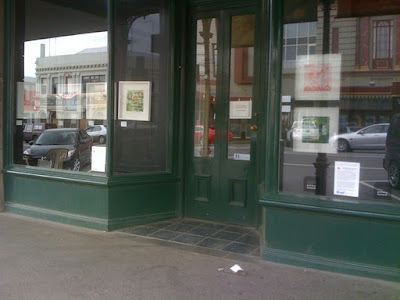 As the name suggests, it is a window (actually two of them) at the front of the gallery, on the street. Anyone walking past can see the exhibitions for free 24/7. I have a selection of my paintings hung there now, until January 2. Get thee along & have a peek.